After the Swift's two million sales milestone, Maruti Suzuki has another reason to celebrate as its Baleno hatchback becomes the fastest car to breach the five lakh sales figure in its segment. The Indo-Japanese carmaker, Maruti Suzuki, has been the reigning champion of record-shattering sales figures in the country. Just a few days after announcing the Swift's two million sales milestone, the brand has now announced that its Baleno hatchback has gone on to become the fastest car to breach the five lakh sales mark in its segment, in record time of 38 months. This is no mean feat, as the segment in question is full of worthy competitors like the Hyundai i20 and Honda Jazz. 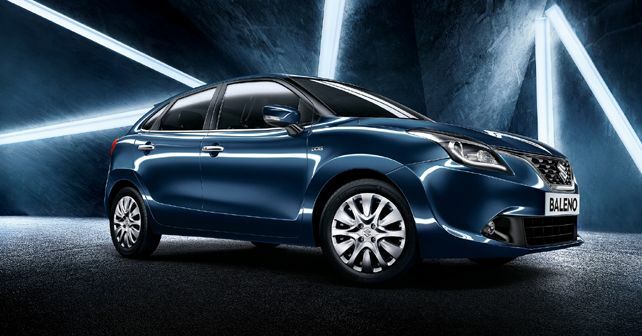 Despite tough competition, the Baleno accounts for nearly 27 per cent market share in the A2+ car segment. By entering the 'premium hatchback' segment, Maruti Suzuki Baleno became one of the first cars from the company to feature Apple CarPlay connectivity along with some other premium features like LED DRLs and LED-combination tail lights. In March 2017, the Baleno marked another historic moment for Maruti Suzuki in India as it became the first model to get a dedicated RS performance version. The regular hatchback gets a 1.2-litre VVT petrol motor or a 1.3-litre DDiS diesel mill. The former develops 83bhp and 115Nm of torque while the latter produces 74bhp and 190Nm of torque. The performance version, the RS, gets a 1.0-litre BoosterJet petrol engine which produces 100bhp and 150Nm of torque. While the 1.2-litre VVT petrol motor gets a CVT automatic gearbox option, the RS is available with only a 5-speed manual gearbox. Maruti Suzuki is expected to launch a face-lift version of the Baleno sometime around mid-2019.